If your team uses Microsoft Office 365 or Google Gsuite to schedule meetings, calendar sync is a new feature that allows Hendrix to automatically join your meetings, eliminating the need to invite him each time. 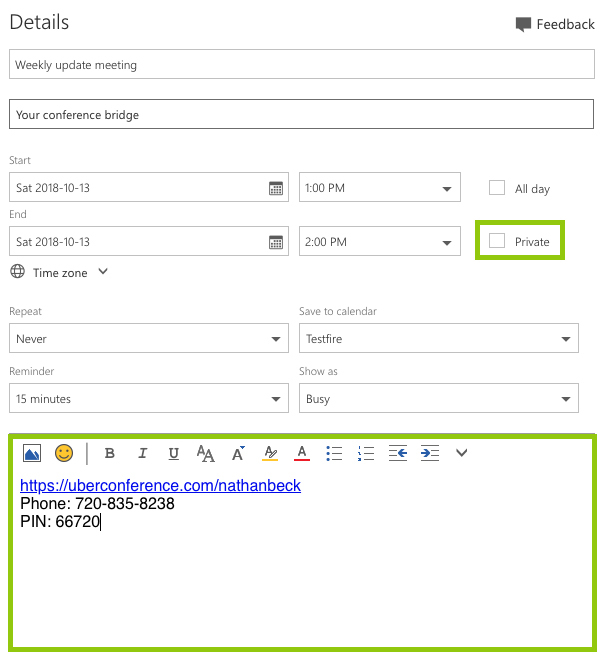 Upon enabling this feature, Hendrix will connect to all meetings with conference connection details contained in the body of your calendar event, as well as any meetings that aren’t labeled as ‘Private’. To prepare for syncing your calendar, start by reviewing your calendar events to ensure your conference number and conference access code are included and labelled in the body of the calendar invite. Your conference number and PIN can be found in your conferencing platform. Also, ensure ‘Private’ is either checked if you don’t want Hendrix to join that specific meeting, or unchecked if you do want him to join. To enable this feature, log into the Hendrix Dashboard, navigate to your Account page, and click on the Integrations tab. Enable the Microsoft Office 365 or Google Gsuite integration by clicking the switch beside Disabled. This will redirect you to the platforms authorization page where you’ll be asked permission to sync Hendrix with your account. Once you’ve worked through the platforms’ authorization process, you’ll be redirected back to your Hendrix dashboard and the integration will show as Enabled. 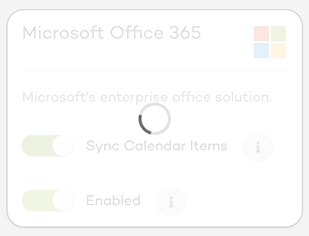 Next, click the switch beside Sync Calendar Items to begin the syncing process. Enabling this feature will automatically connect Hendrix.ai to all future meetings that include conference connection details, except those that are marked as ‘Private’. Depending on how many meetings you already have scheduled in your calendar, this process can take up to 2-5 minutes, so be sure you do not refresh your page during this time. Once Hendrix has completed the syncing process, calendar sync will be Enabled and you’ll receive a confirmation email identifying all upcoming meetings that Hendrix will join. Hendrix will also send an email prior to the start of each meeting to remind you that he’ll be attending. Now, you’re all set up! 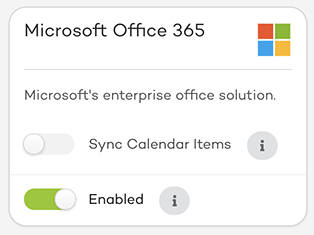 You can disable the calendar sync feature at any time by clicking the switch beside Sync Calendar Items. This will prevent Hendrix from joining all future meetings. 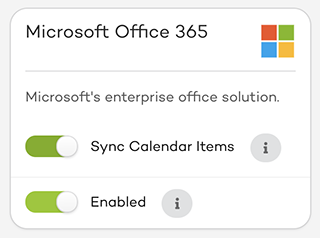 If you wish to disable both Single Sign On and Calendar Sync, simply click the switch beside Enabled. Please note, if at any point you log into the Hendrix dashboard using the Single Sign On button, the platform integration will automatically re-enable. To re-enable calendar sync, simply re-toggle the Sync Calendar Items switch. Need some help? Send us an email. © 2019 Testfire Inc. All rights reserved.